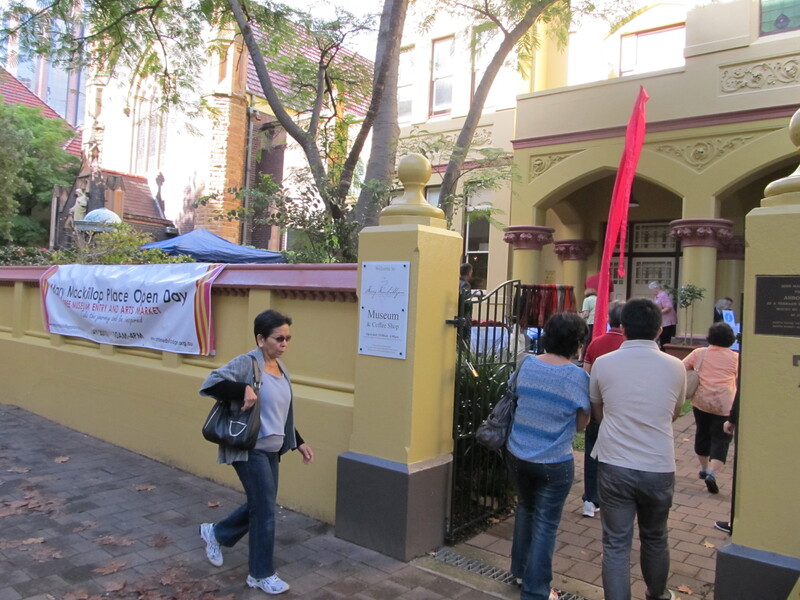 Entrance to the museum from Mount Street, North Sydney. History of education content on the screen in the Interactive Learning Space. What contribution have significant individuals and groups made to the development of Australian society? You will be amazed when the real story of these significant people is revealed through such pioneering women as Mary MacKillop [Saint Mary of the Cross] and the Sisters of St Joseph. Explore Mary’s story and the co-founder of the Sisters of St Joseph Julian Tenison Woods through the galleries, which are set among beautiful grounds in the heart of North Sydney. 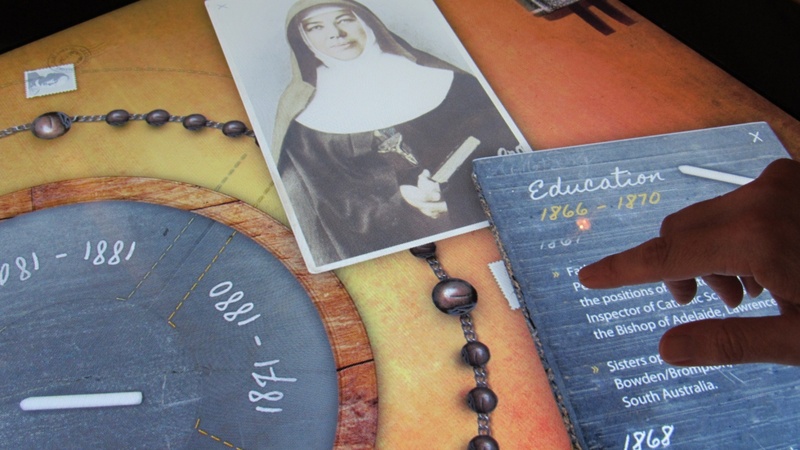 The museum is part of a complex including historic buildings built in the early 1900s reflecting the early life of the Congregation of the Sisters of St Joseph. Australia’s Saint is revealed as a formidable figure in colonial history. 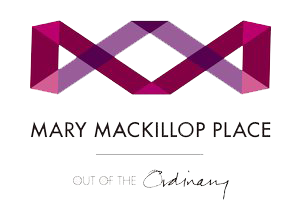 See ordinary and extraordinary objects belonging to Mary MacKillop and Julian Tenison Woods. A collection of liturgical objects and relics associated with the Catholic faith are there to be explored and include: Religious devotional items, sacred art, and Australian Indigenous and Pacific Islander indigenous artworks. Immerse yourself in the story of an extraordinary life lived before the rise of social equality and on the eve of Empire building in Australia in the new century. Learn more about the formation of the Sisters of St Joseph and their contribution to education in Australia. Step back in time and visit the recreated Penola School House of the 1860s and experience the latest in interactive technology in the Interactive Learning Space. 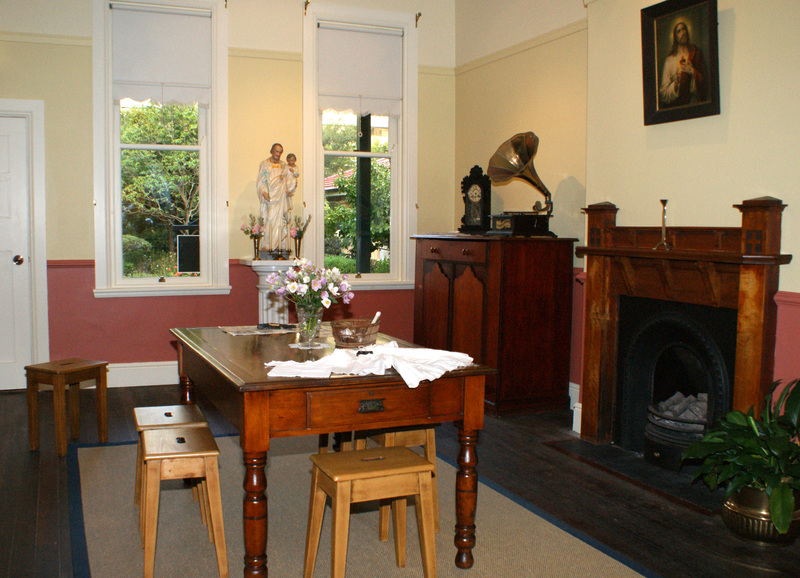 Visit historic Alma Cottage built in 1866 and Mary MacKillop’s home from 1884 to 1909. The cottage has been restored and furnished to provide a unique insight into the domestic life of the Sisters in the late 1800s. Children are encouraged to follow the Children’s Museum Trail Bobs Adventures with Mary, which is based around Mary’s beloved dog Bobs. Take time to reflect in the Mary MacKillop Memorial Chapel built in her honour in 1914.The tomb of Mary Mackillop is open to all visitors and pilgrims. The café and outdoor seating area and gift shop adjacent to the museum is a welcoming meeting place during your museum visit. The Gift Shop offers a wide variety of merchandise that has been chosen to enhance knowledge of Mary Mckillop. The cafe, incorporated into the Mary MacKillop Place Gift Shop offers light meals and refreshments in a peaceful setting. The museum's Reading Room offers visitors the chance to read and do further reserach, view temporary exhibitions and attend public program events.